As experienced legal professionals in Prince William County, we’re here to remind you to add one more vital professional to your list: a real estate lawyer. It might seem unusual to involve a real estate lawyer in your purchase of a new home or commercial space for your business, but without the guidance of an experienced legal attorney, many expensive problems can arise. A title, also referred to as a deed, is a very important legal document that allows one to prove their ownership of a particular piece of real estate. A title must be prepared properly so that your right to ownership of the property doesn’t come into question months or even years in the future. If you’ve visited a Prince William County property with your realtor, loved it, and are preparing to buy, it’s a good idea to invite your real estate lawyer along for another walk through. 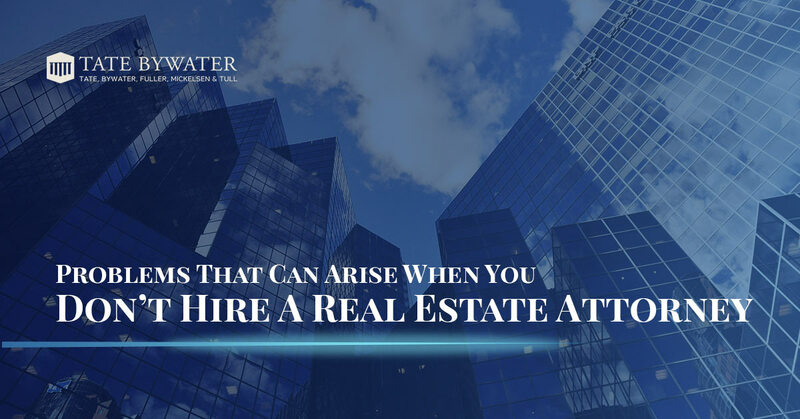 Real estate attorneys are trained to identify physical issues with a property that might have escaped your eye, and even the eye of your realtor. The purchase contract is perhaps the most important legal document during the process of buying a piece of property. It contains an immense amount of “legal jargon” that a layperson might be tempted to skip right over on their way to signing on the dotted line. Before you risk putting yourself in a bind by signing a contract you don’t understand, request that your real estate lawyer reviews the document. He or she can make sure that you’re not agreeing to anything that jeopardizes your rights in the future. If you’re looking for an experienced real estate lawyer in Prince William County, don’t hesitate to contact the full-service law firm of TATE BYWATER. We’d be more than happy to set you up with an attorney for a real estate law consultation. Our attorneys will take the time to review your situation, listen to your goals and desires for the real estate purchase, and make sure that the entire process unfolds in a positive manner. Don’t purchase property without the law on your side–contact Prince William County’s trusted real estate lawyers at TATE BYWATER.